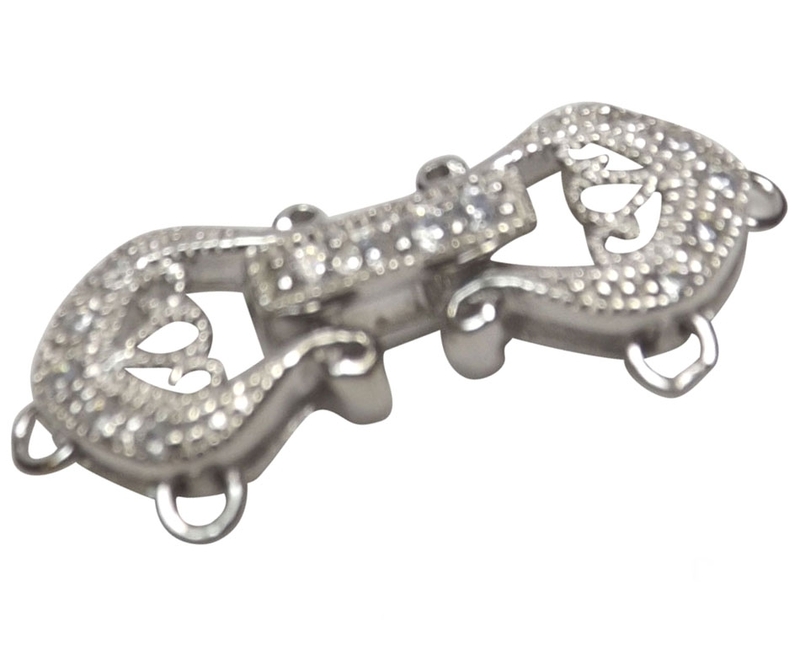 A beautiful pearl clasp with engraved diamonds accent is in an elegant design of a bow. 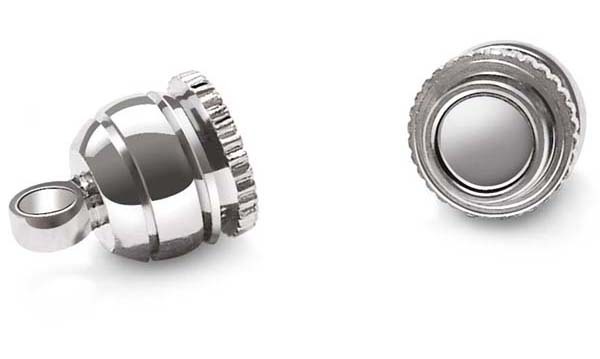 The clasp is made of 925 pure sterling silver for a 3-row pearl necklace or bracelet, with layers of 18K white gold overlay so it is good for the most sensitive skin and also preventing the silver from tarnishing. 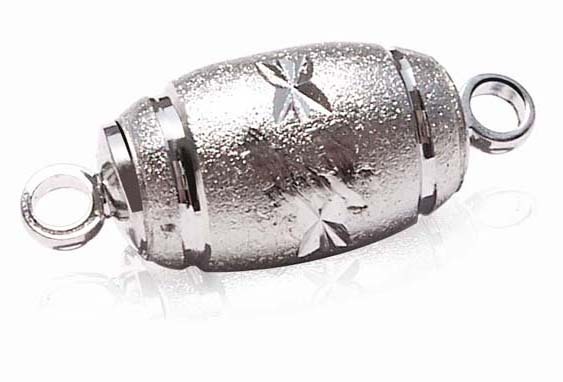 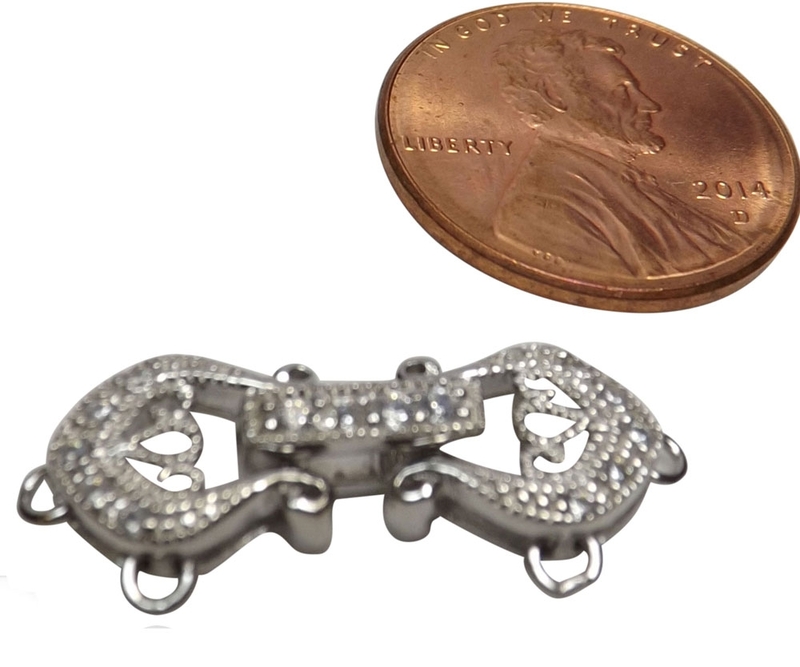 Stamped with “925”, a universal pure silver symbol, the clasp has an approximately 1/2″ x 1″ for both of its longest dimensions, with lab-created CZ diamonds on it, which is a great size for both necklaces and bracelets, as you can see from the picture taken with the penny to show the actual size. Necklaces and bracelets made of this beautiful clasp can be worn in various ways to show its beauty. 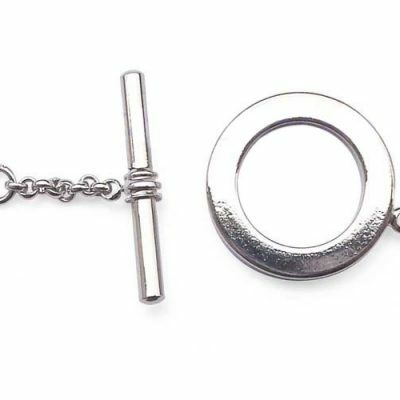 As a necklace, it can be used as a beautiful pendant in the front when you want to show your beautiful face and neckline with glamour, or as a regular clasp on the back to show the elegance of your pearl necklace, or on the side to show it as a brooch.